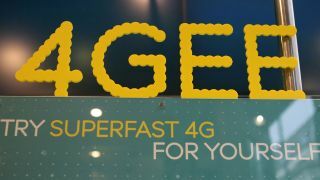 EE and Three have inked a deal to share their networks in an effort to push the rollout of 4G in the UK. The partnership will see the two companies sharing the costs of building and maintaining their 4G network, which not only makes financial sense, but should result in a quicker rollout for customers. Despite the firms joining at the hip for 4G, they will not be required to offer the same packages. There are expected to be significant differences in the quality and coverage of each vendor's 4G offering, according to the Financial Times. Three previously had a network-sharing deal with T-Mobile, which merged with Orange to make EE in 2010. Its deal technically continued after the merger, but the terms of that agreement have now been revised and expanded. EE is investing £1.4 billion in its 4G network, while Three is set to spend £500 million over the next three years. Some of this amount will be spent on shared infrastructure. However, the pace of 4G rollout will be significantly different between the partners. EE is hoping to reach almost 70 per cent of UK homes by the end of this month, while Three is aiming at a longer-term plan of 98 per cent coverage by the end of 2015. EE's comparative enthusiasm is likely due to the fact that it is charging extra fees for 4G over 3G, while Three has already promised to give 4G for free to all existing 3G customers. Is 4G all it's cracked up to be?